MANILA–Summer never ends in a country blessed with a tropical climate, although the weather bureau officially declared that its already wet/rainy season (and yes, its been raining for four days straight now), once in awhile we are lucky to have a clear sky to continue our outdoor activities in destinations close to the capital. 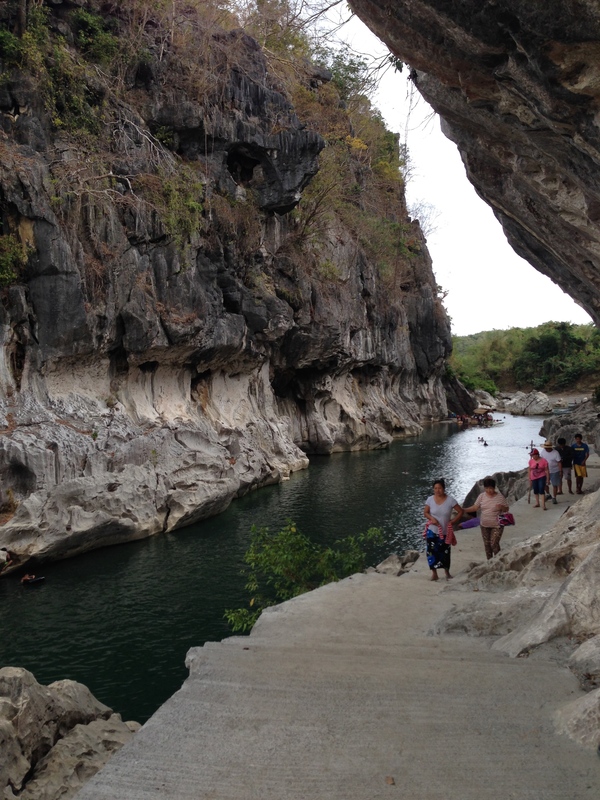 Located in General Tinio in Nueva Ecija, Minalungao National Park is gaining its popularity to those who want to take a short trip away from the bustling life in the metropolis. 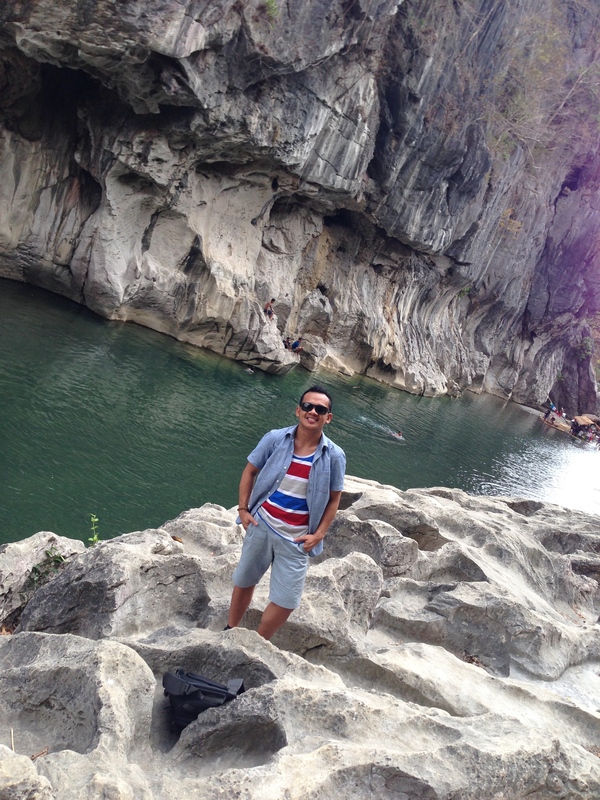 The 2,000 hectare protected land area showcase an uphill shrine and a breath taking view of the emerald green waters of Peñaranda river that cuts through a hallway of 52 feet high limestone walls, the main attraction of the national park. Visitors are advised to wear comfortable clothing and footwear, bring extra clothes for swimming! Each person also need to bring a packed lunch, 2 liters of water (depending on your consumption) and packed trail snacks. 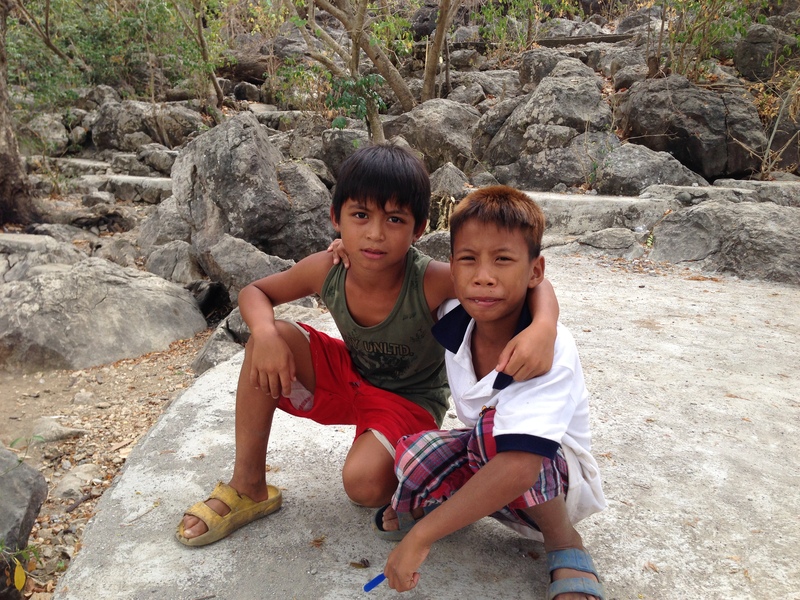 The local community who also serve as tour guides, both young and adults are available in the area. Guide fee is upon your discretion but please be generous enough to give no-lower than two hundred pesos or $4, they just make a living, they don’t build malls or alike. I also suggest that you share your meals and water supplies with them as an act of kindness, just like what my colleague and I did with our two young energetic tour guides. After hiring our guides, we started our tour around the area. 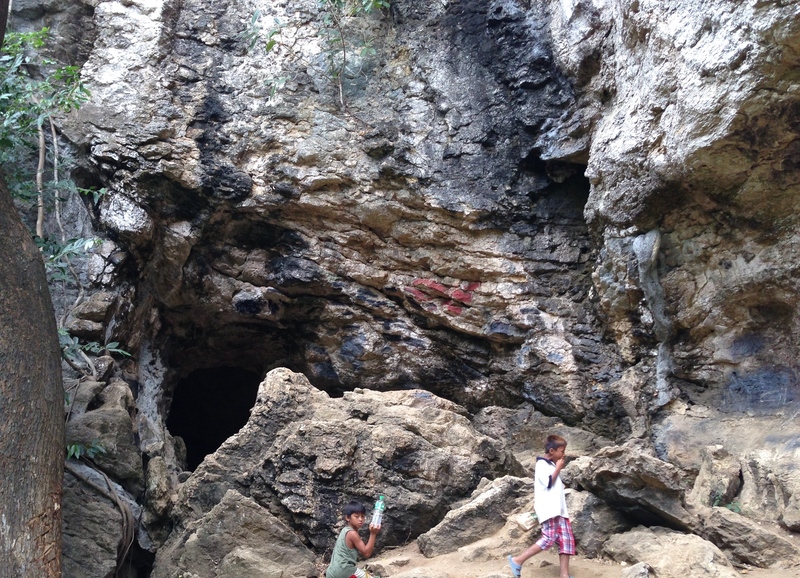 Our first destination was the unexplored cave system on the eastern side of the river bank, where it’s located. It only took us roughly 10-15 minutes walk across the other side of the rock formation where the paved trail also ends. There’s a small portion of the trail where you need some balancing skills specially when trekking uphill. 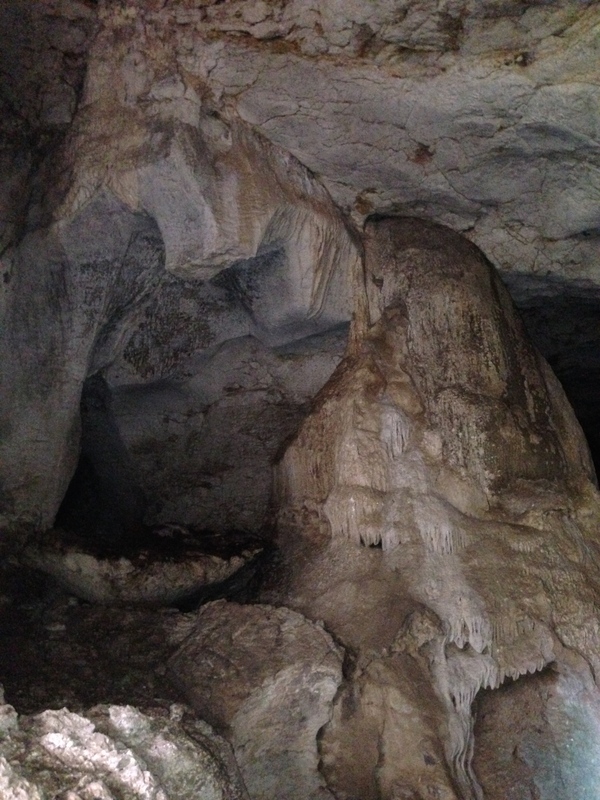 Concerned with our welfares, my colleague and I decided to only explore the exterior opening of the cave. 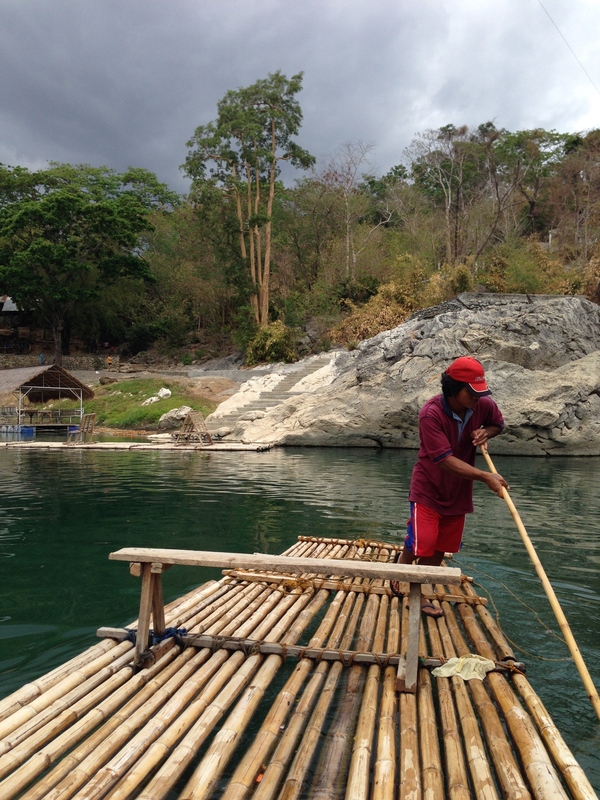 After ‘exploring’ the cave, our guide took us back to our starting point where we boarded a makeshift bamboo raft to cross the pristine green water of the river (oh it could have been better if I could swim). Transfer fee is only Php 10.00 per person, which quite a small amount of money if you’ll get to experience the thrill of riding the raft. 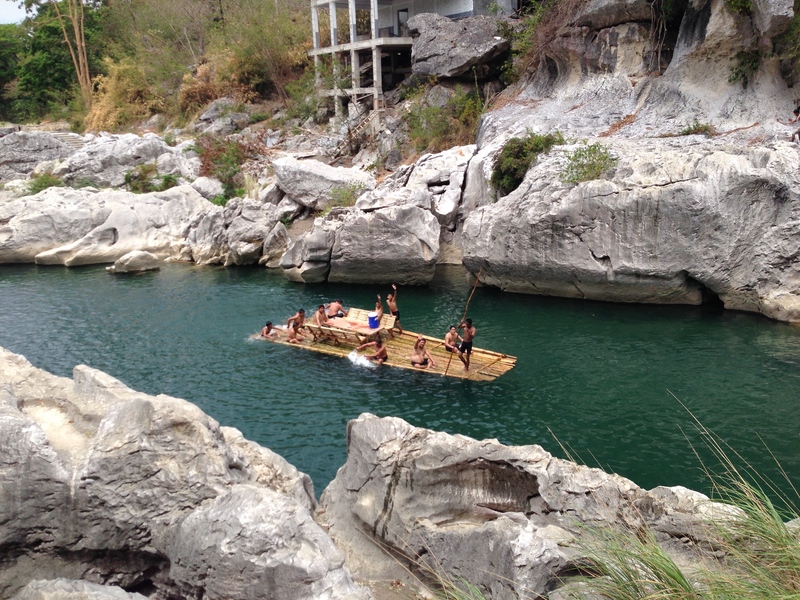 Mixed emotions of thrill and fascination on the scenic view of the river from the bamboo raft. It’s noticeable that the park is well maintained and kept. 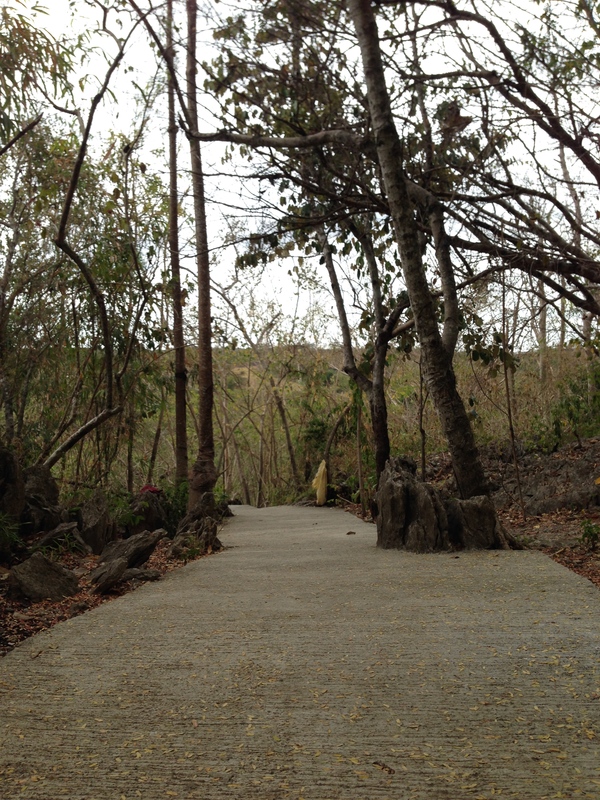 The pathways and other on going efforts reflects the vision of the local government to sell it well to the tourists. On the other side of the river, our guide told us that we are heading to an uphill shrine where we could have a commanding view of the park and nearby towns. And a paved staircase will lead us to the top, well… as per our guide it’s a thousand step staircase. So yeah, leg day! 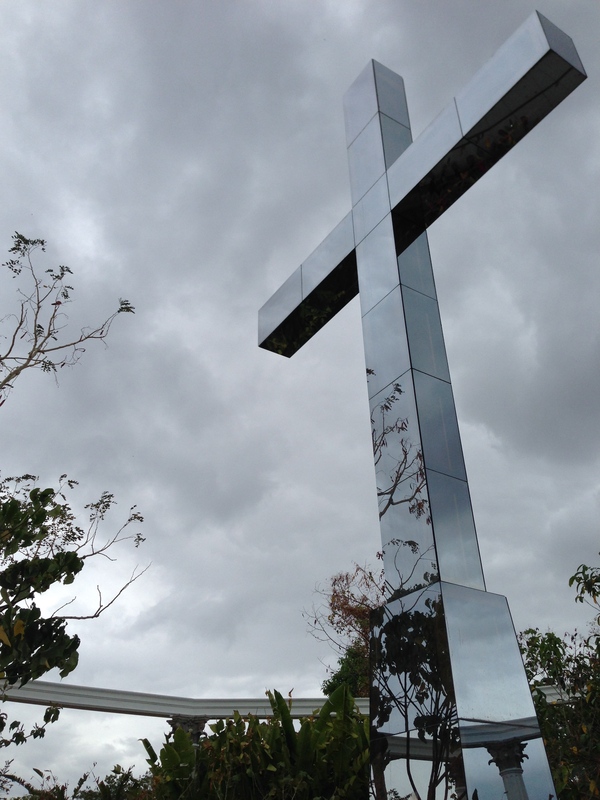 It was already drizzling when we reached the shrine, and its indeed the view is worth the gasp and arg. We paused for a while to thank God for a such blessed day before heading back to the river banks. Fortunate enough, the sun is out again for us to enjoy the scenic and refreshing dip in the river. There is a shallow part of the river on the end of the limestones where we enjoyed the cool waters that runs though it. Shower and toilet facilities are readily available for guests convenience. Like other community operated toilets, fee is only Php 10 per person. It’s already 4 in the afternoon when we finished all these activities in the park. From Manila, we went to one of the bus terminals in Cubao, Quezon City that offer the Gapan, Nueva Ecija route. There will be no seat reservations required as the system follows a first come-first serve policy. It cost us Php 160 (Roughly $3) per person to take the smooth three hours bus ride to our destination. I suggest that you take the 6 or 7 AM trip to make up on the travel time and spend most of the day in the park. As any traveler would do, we kindly asked the bus conductor to inform us if we reached our jump-off point to the national park. Once you reached Gapan, you’ll be off boarded to a tricycle terminal and be graciously welcomed by tricycle drivers (who seem to have a tourist-radar) that are willing to accompany you in your trip for an initial offer of Php800.00 ($17.50). Depending on your bargaining skills, the cost could be trimmed down to Php 600.00 ($13). The tricycle drivers will take you in and patiently wait for you in the national park as there’s no other public transport that serves the route. Yes, this is a hassle free option. However, there’s an alternative way where you can board a jeepney bound to General Tinio (Formerly known as Papaya) then hire a tricycle driver from that town for a cheaper price. Both ways will take you an hour or an hour an a half way to the park. At the gate/entrace, you’ll be asked to pay Php 20 or half a dollar environmental fee per person. Overall, Minalungao National Park is a convenient destination for those who want to have a relaxing and budget friendly nature trip that is close to Manila. 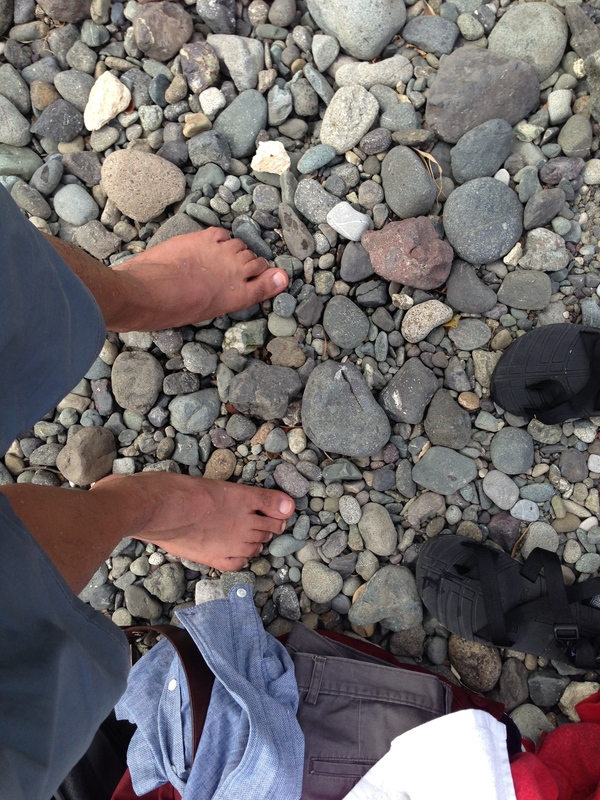 We travelled as a pair and costs are shared, each of us roughly spent Php800 or $17.50. Always be reminded that like any other tourist destinations, the local community is striving to make most of our time fun and memorable. Be responsible, bring out what you brought in—trash, take only but pictures and treat everyone with utmost respect. Enjoy! Thank you! Hope you’ll visit the Philippines soon. Cheers!